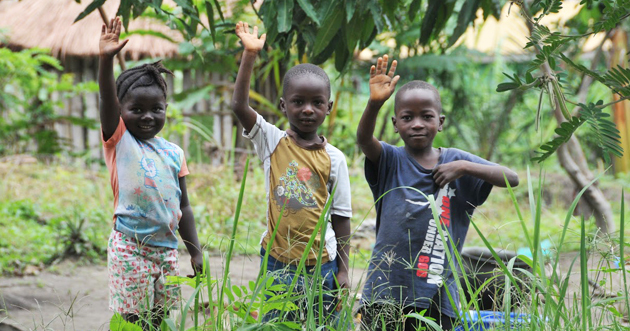 Ebola – a wake-up call for leaders? HomeEditorialEbola – a wake-up call for leaders? 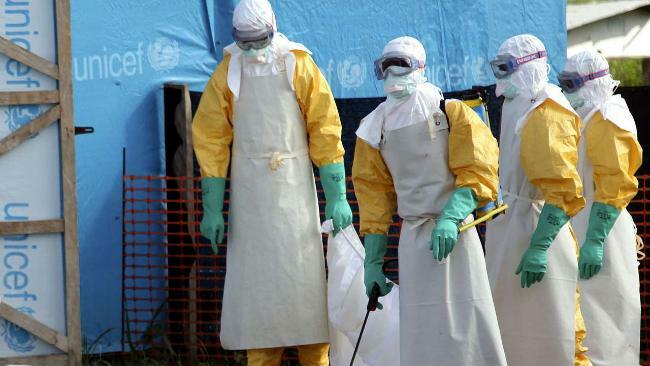 According to the World Health Organization, the number of people infected with the Ebola virus in Sierra Leone, Liberia and Guinea has now passed 20,000, with the total number dead conservatively estimated at more than 7,800 since March 2014. While scientists and medical experts continue to ponder the possibility of a cure, researchers say that it would take another year before a commercially available vaccine is produced. And when a cost-effective vaccine is finally manufactured, the question as to who pays for the vaccine to be made freely available in West Africa will become crucial, if the virus is to be brought to an end. But policy analysts believe that, even with an Ebola vaccine, the chances of wiping out the virus in West Africa will be less likely, as long as corruption, poor governance and lack of investment in health systems, sanitation, water and electricity are allowed to continue. 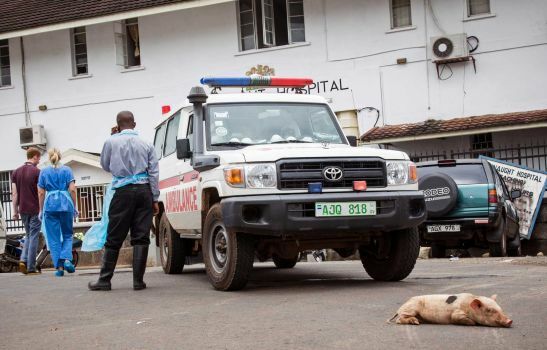 Is Ebola a wake up call for leaders? A few weeks ago – 10th December, 2014, Ministers of Health and Finance of Ebola-affected West African nations, international organizations and development partners met and discussed how best to strengthen health systems in Ebola-affected countries. The meeting recommended improvements in the following key areas: Significantly strengthening health workforce; enhancing community trust, engagement, and ownership; and ensuring development of resilient sub-national health systems. (Photo: Connaught hospital – Freetown). The recent outbreak of the Ebola virus epidemic in Guinea, Liberia and Sierra Leone has exposed the underbelly of many of Africa’s healthcare systems. They are often poorly funded, severely neglected and in some cases virtually nonexistent. The disease’s virulence has overwhelmed health systems that even before Ebola lacked basic equipment and facilities, medical staff and supporting infrastructure. Ebola has shaken and awakened decision-makers in a way that malaria, tuberculosis and other epidemic diseases that claim millions of lives in Africa each year have failed to do, with the possible exception of HIV/AIDS. 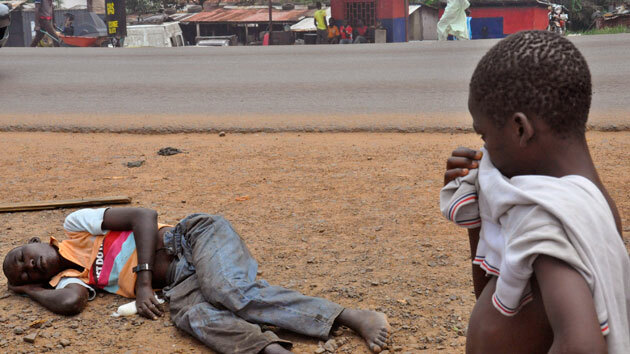 As fate would have it, the epicentre of the virus is in countries that are among the world’s poorest, although in 2013 Sierra Leone and Liberia ranked second and sixth among the top 10 countries with the highest economic growth rates in the world, according to The Brookings Institution, a US think tank. To exacerbate the situation, these health systems, including the general infrastructure, were wrecked by internal conflicts and civil wars to the point where they now struggle to provide basic health care to citizens. Although the years of conflicts in West Africa are still being felt, this does not solely explain the devastation brought by the Ebola virus. Graça Machel, the widow of former South African President Nelson Mandela, said the Ebola outbreak should be a wake-up call for African leaders. “Ebola has exposed the extreme weaknesses of our institutions as governments, countries which are affected were found totally unprepared,” she told African business leaders in November 2014 at a meeting in South Africa. Back in 2001, African health ministers signed on to the Abuja Declaration pledging to allocate at least 15% of their national budgets towards improving their health systems. According to the World Health Organization (WHO), a decade after the declaration was signed, 27 countries had increased the proportion of their total government expenditures allocated to health, but only Rwanda and South Africa had achieved the 15% target. More depressingly, seven countries had actually reduced their health budget over the same period, and 12 had not made any progress. A different scorecard developed by the Africa Health, Human & Social Development Information Services (Afri-Dev.Info), a research coalition, showed that by 2010, the top five countries who had met the target were Rwanda (23.3%), Malawi (18.5%), Zambia (16%), Burkina Faso (15.7) and Togo (15.4%). In 2013, Africa had an estimated deficit of 1.8 million health workers. Perhaps not surprising is the state of the health systems in the affected countries. According to Afri-Dev.Info, in 2014, with a population of 4.2 million, Liberia had only 51 doctors, 269 pharmacists, 978 nurses and midwives, while Sierra Leone, with 6 million people, had 136 doctors, 114 pharmacists and 1,017 nurses and midwives. True, the world was found wanting in its response to the Ebola epidemic, but it has been the World Health Organization, the main UN health arm that has borne the brunt of the criticism. It was faulted for taking too long to declare the outbreak an international emergency. To be fair, WHO has suffered from severe funding cuts in recent years. Its two-year budget for 2014-2015 is about $4 billion, having been cut by $1 billion in 2011, according to reports. 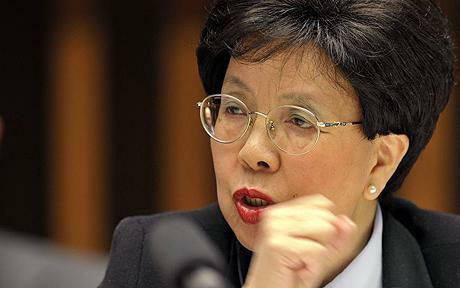 This has crippled its effectiveness in handling global health emergencies. Notwithstanding, global health experts say that even if WHO had had better funding, it is neither an emergency-response network nor a direct provider of health care services, but a technical agency that provides advice and support. The affected countries too have to shoulder some of the criticism. They waited until it was too late to request international aid. 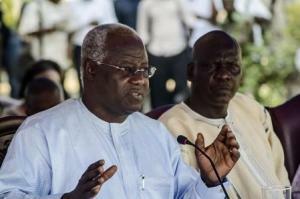 When governments are reluctant to ask for help, Sophie Delaunay, the executive director of Doctors Without Borders, told Politico, “they become responsible when the situation deteriorates.” (Photo: President Koroma of Sierra Leone). There are, however, reasons why countries are not quick to request help or try to suppress bad news. In many cases these have to do with national pride and the fear of scaring away tourists and investors. And these fears are not unfounded. African tourism has borne the brunt of the Ebola fear factor. Francisco Ferreira, the World Bank’s chief economist for Africa, said the Ebola “fear factor” prevents tourists from visiting even countries such as Kenya and South Africa where there had been no cases of the virus. Politicians around the world have sounded the same warning, worried that Ebola was creating a contagion effect on African economies. “We have to isolate the disease, not the countries affected,” said UN Secretary-General Ban Ki-moon. The absence of any drugs or vaccines against the scourge of Ebola has been the main source of fear among the public. Dr. Chan makes the same point, adding that the drug industry’s drive for profit was one of the reasons there has been no cure yet for Ebola. “A profit-driven industry does not invest in products for markets that cannot pay,” she told delegates at a conference in Cotonou, Benin. Testing on healthy volunteers in the US and some African countries has started on experimental vaccines and results are expected during the first quarter of 2015. The time will come when the decision-makers will take stock of the state of healthcare systems in many African countries, how the outbreak unravelled and the effectiveness of the global response. Nevertheless, even as the epidemic is stabilizing in some parts of the affected countries, it’s spreading in others, especially Sierra Leone, and to a lesser extent Mali. “Now is no time to let down our guard,” warned the UN Secretary-General.